QuackStar was a funny duck. He decided to join our family on May 31, 2009. 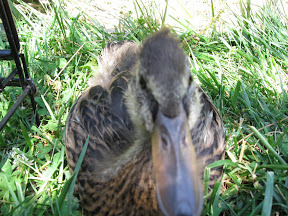 We were pretty startled when a day old duckling ran up to us! We quickly became good friends. He would follow us around the house, feet slapping on the floor, bill vacuuming lint and crumbs. He loved water! Here is the last picture taken of him. 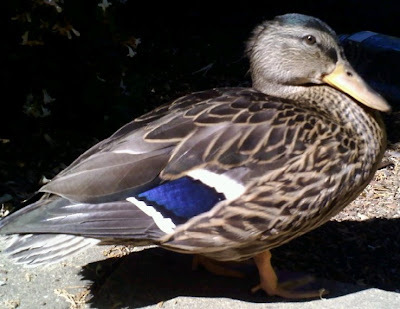 A friend took it the day he flew away to be a wild duck. This entry was posted in ducks. Bookmark the permalink.